Even in the ancient days, shields were not just a defense for a warrior to carry into battle. They were also stunning decorations, found in halls and castles. And this Decor Shield of Richard the Lionheart recalls the coat of arms of a famous English king. This shield was made for displaying, and it features the iconic shape of the heater shield, which was popular with warriors during the later years of the Middle Ages. 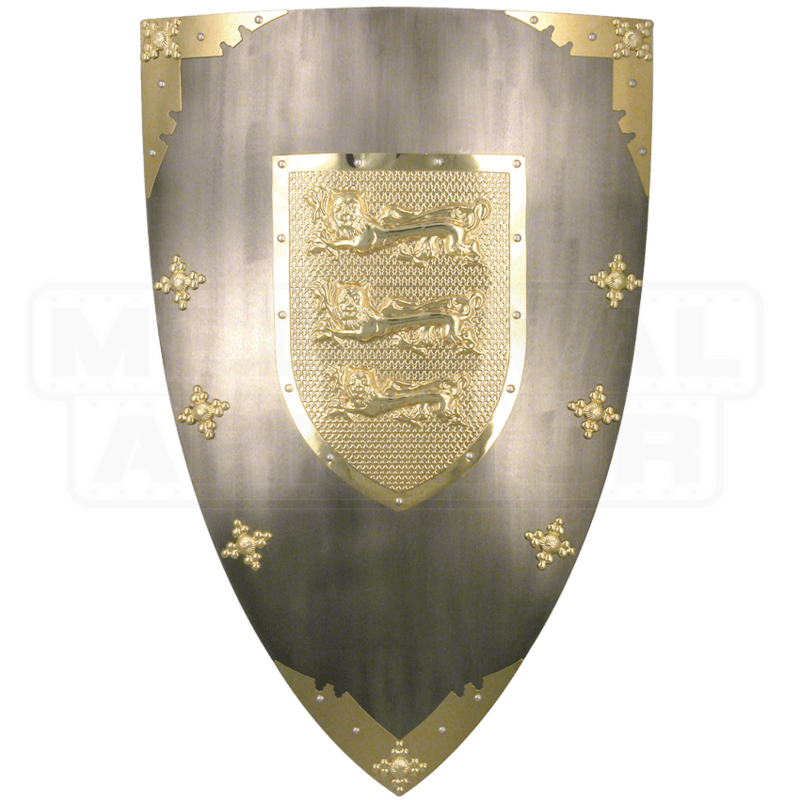 This is a full-sized shield that is made with quality stainless steel metal. It has a classic triangular shape and features decorative golden-yellow finishing at the three corners, as well as decorative cross emblems along the sides. The shields field is polished silver-steel, while the center of the shield features King Richards famous coat of arms, depicting a trio of passant guardant lions in pale or (read as three walking lions, each with one claw raised, facing the viewer, in gold). 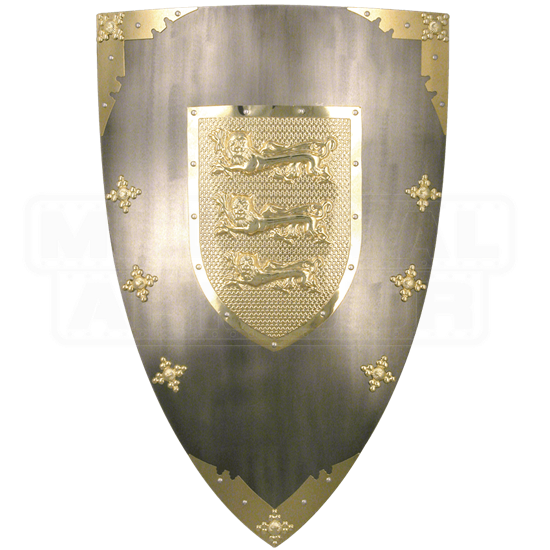 Made as a decoration, this shield is designed for use either as a costume accent to carry at your side, or to hang in your home as a stunning decoration. And stunning it is, as this Decor Shield of King Richard the Lionheart depicts the arms of this legendary king in stunning metallic detail that will leave many in awe of its appeal.